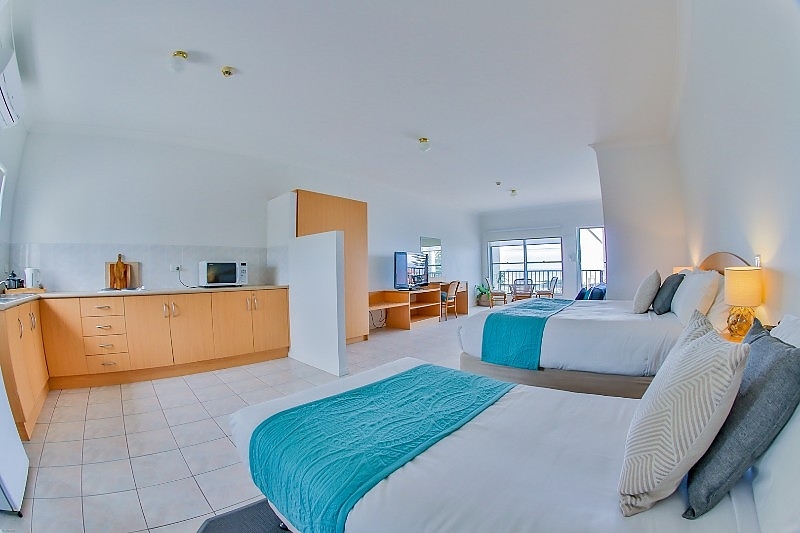 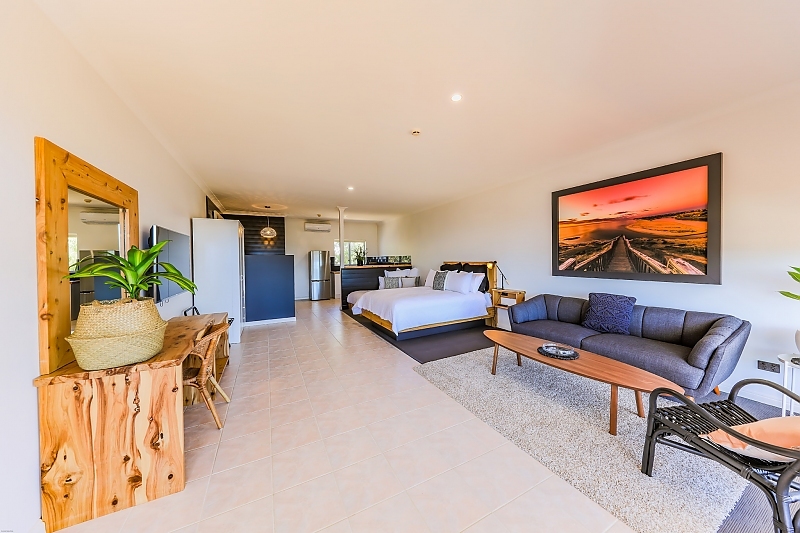 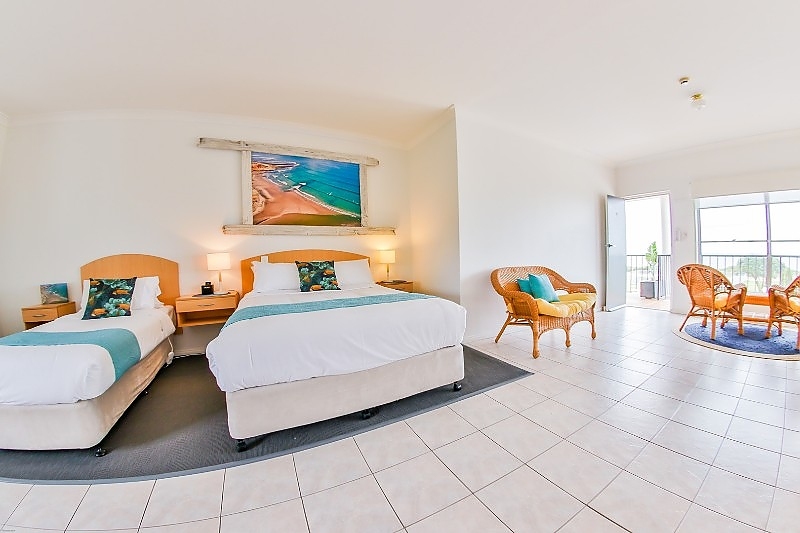 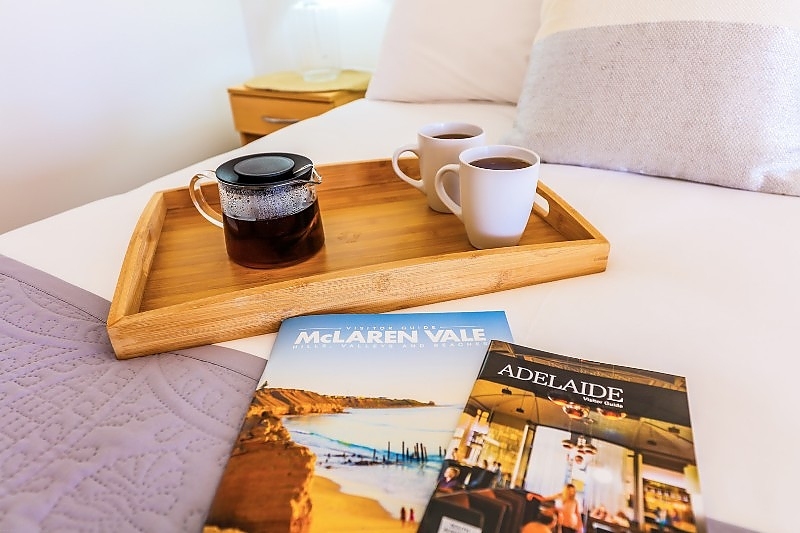 FIRST FLOOR: BEACHFRONT Sleeping 2 guests this apartment is a 5 star experience for those wanting a touch of luxury whilst staying in the region. 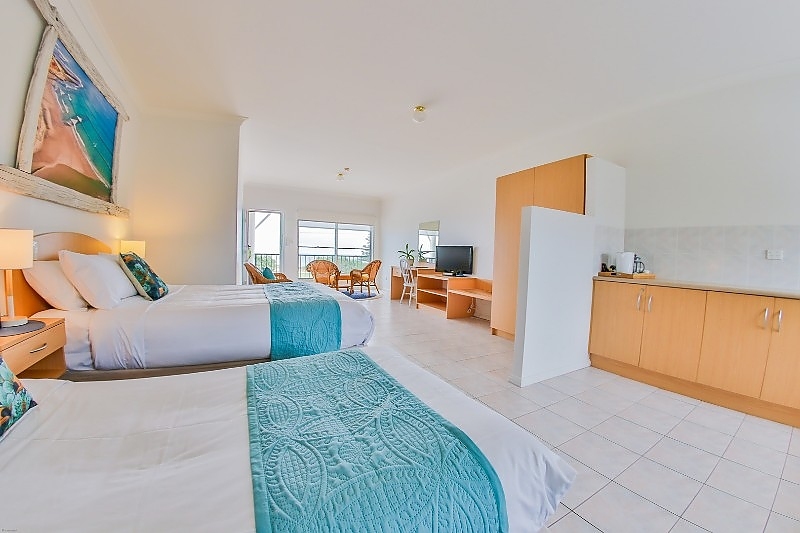 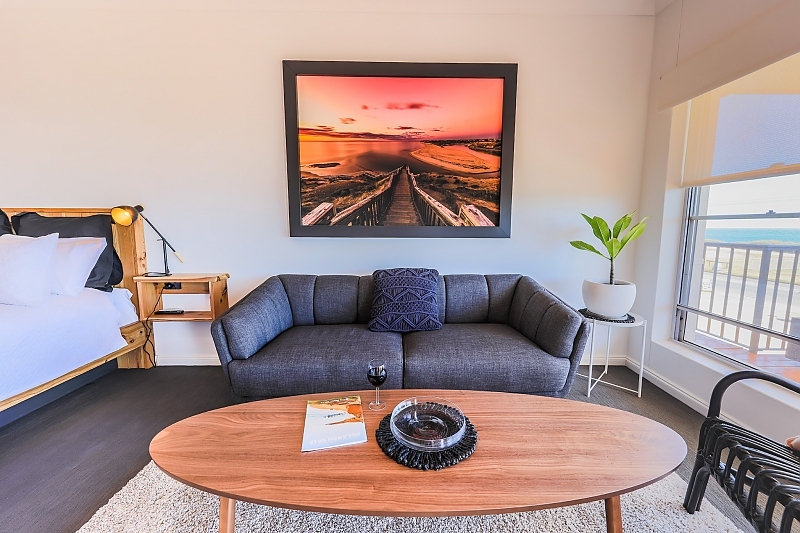 Located on the first floor with sweeping ocean views, the Luxury Studio Apartment was completely renovated in March 2018 - Everything is brand new. 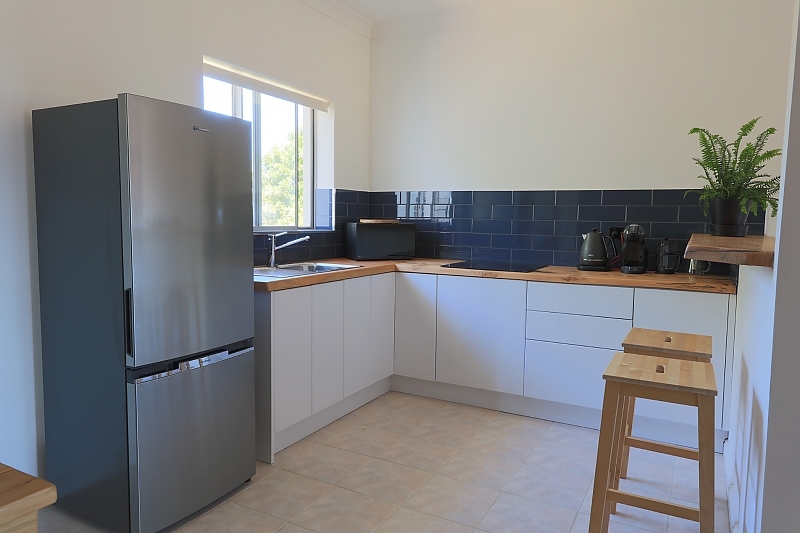 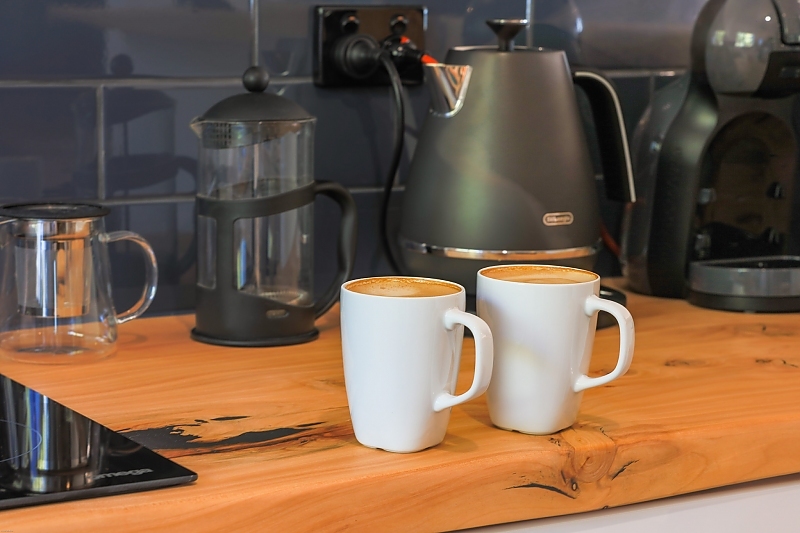 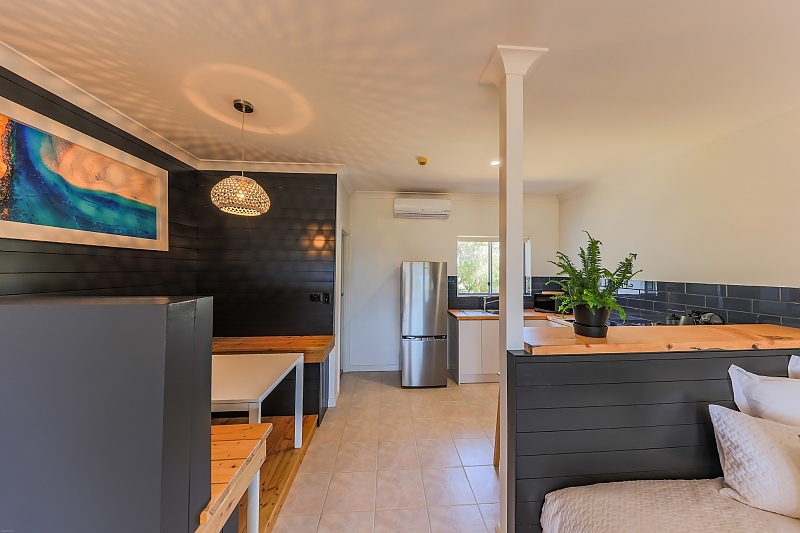 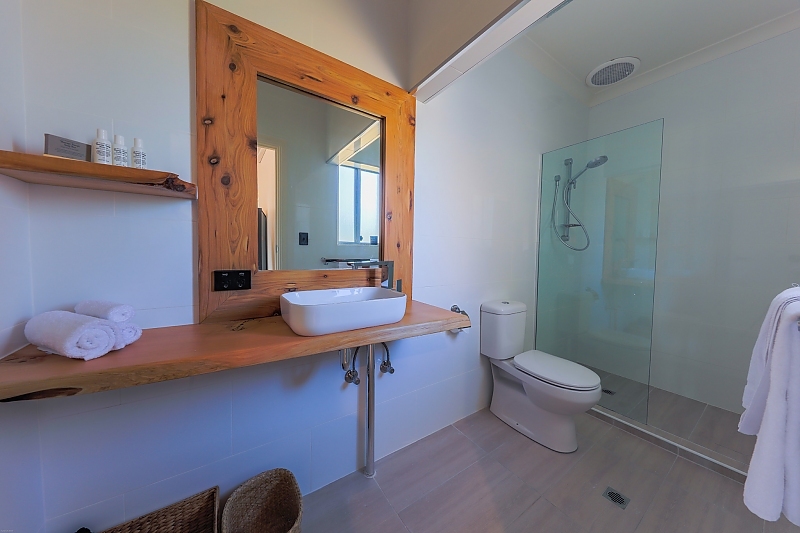 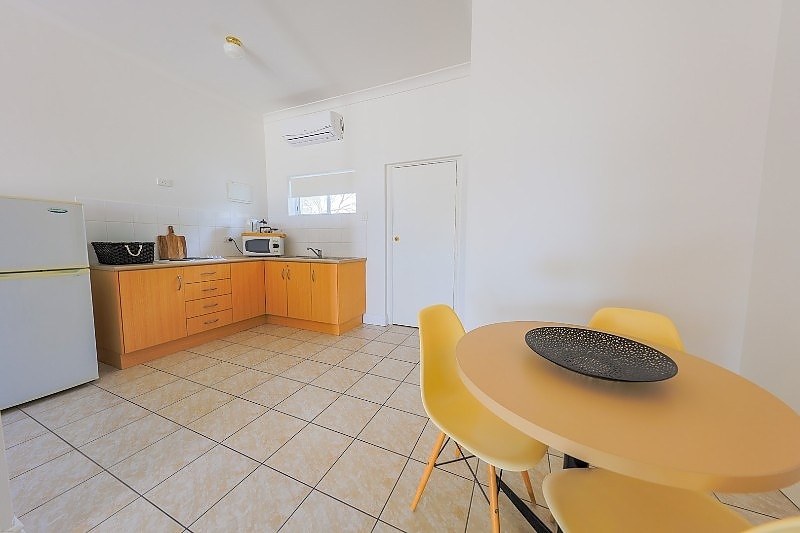 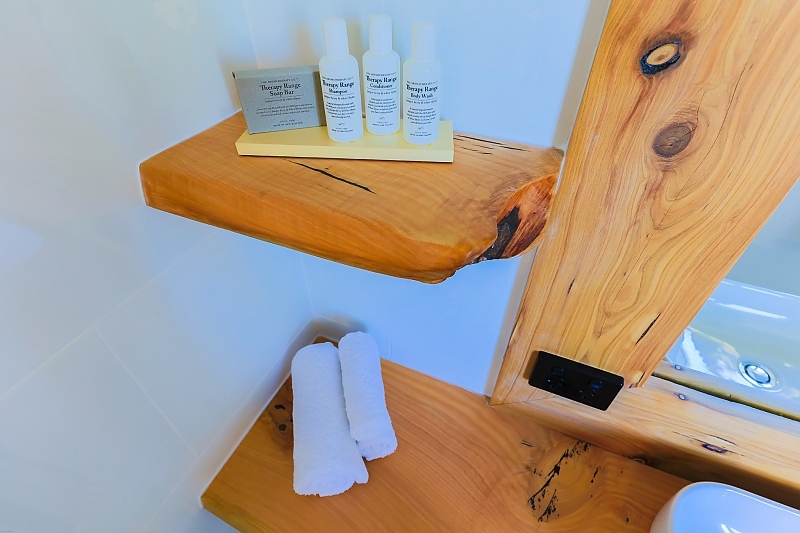 With stylish new bathroom with glass shower screen and timber bench tops, new gloss kitchen with glass hot plate and stylish appliances, guests will love sitting at the breakfast bar enjoying their morning coffee from the Nespresso Pod Machine. 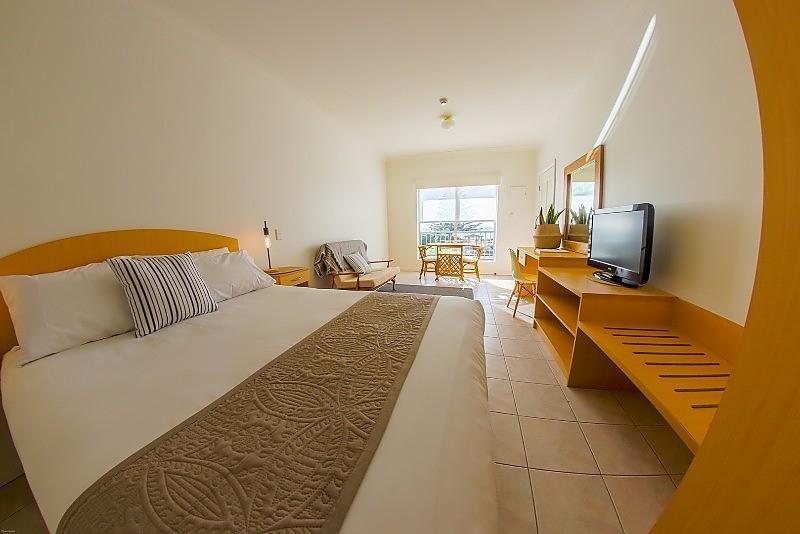 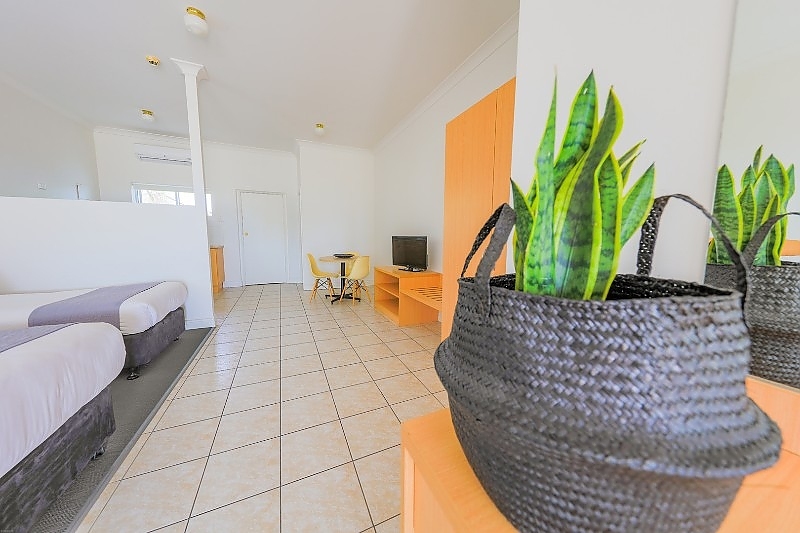 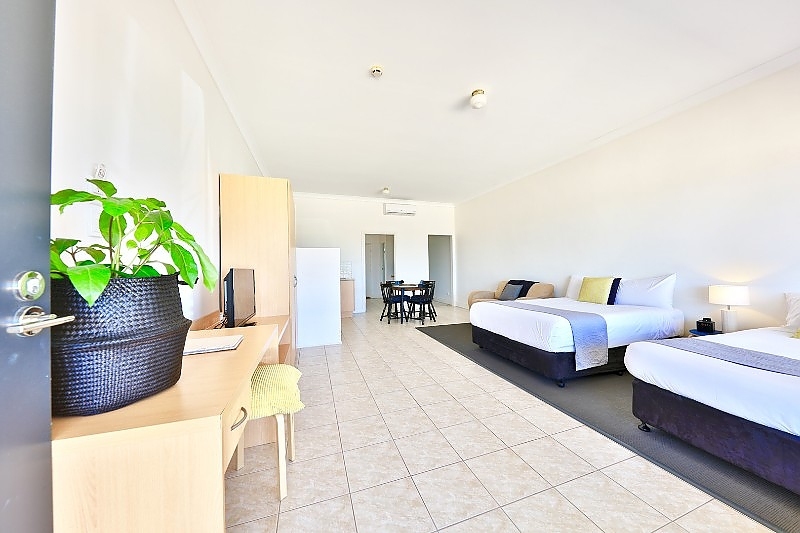 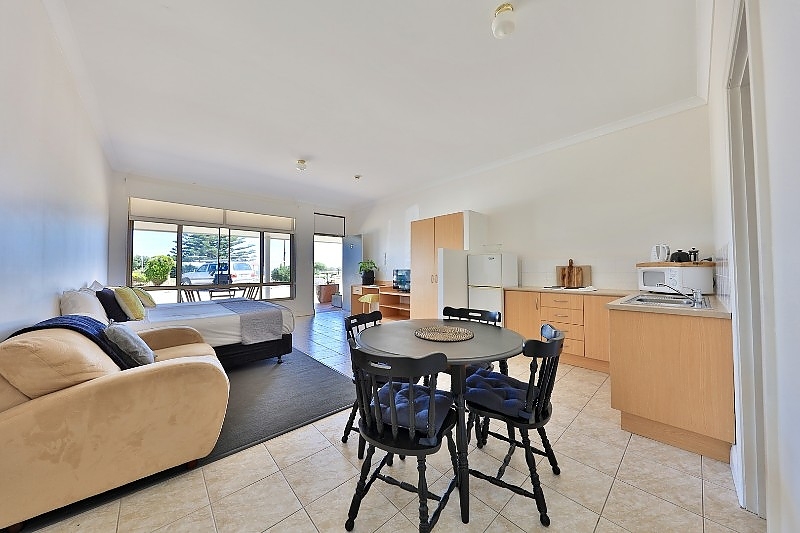 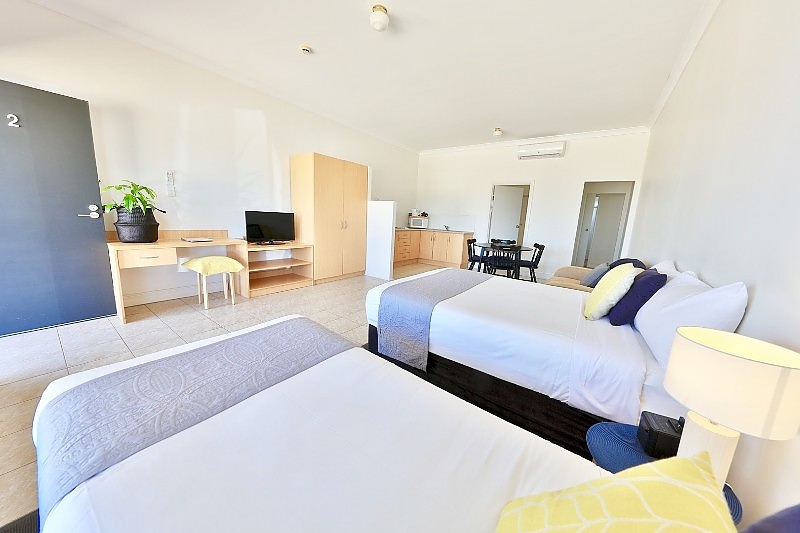 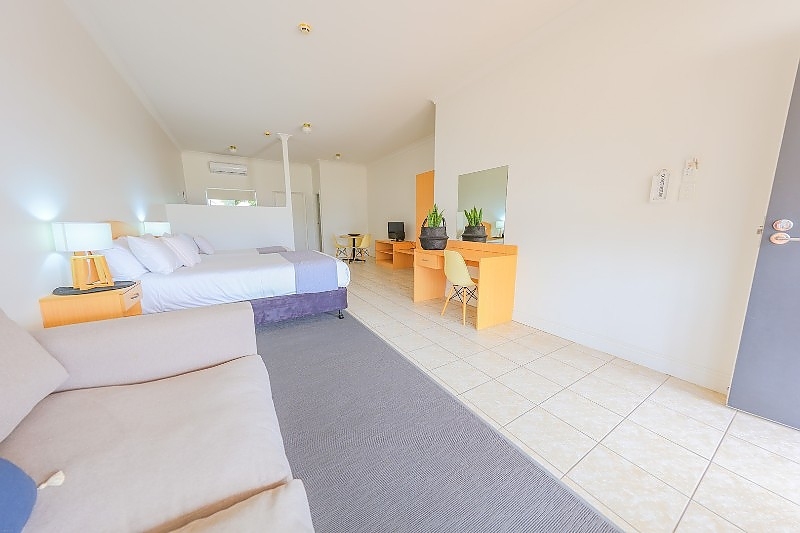 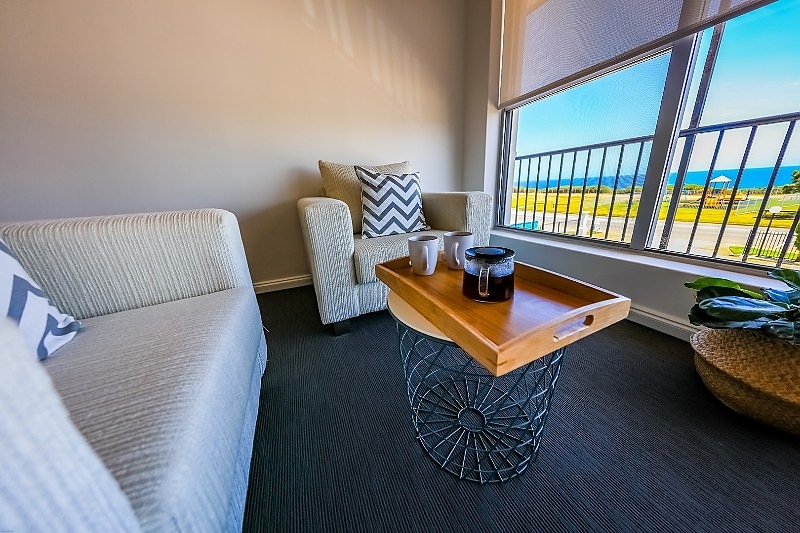 Relax on the 3 seater lounge whilst watching the 60 inch flat screen TV or gaze out of the window at the ocean. 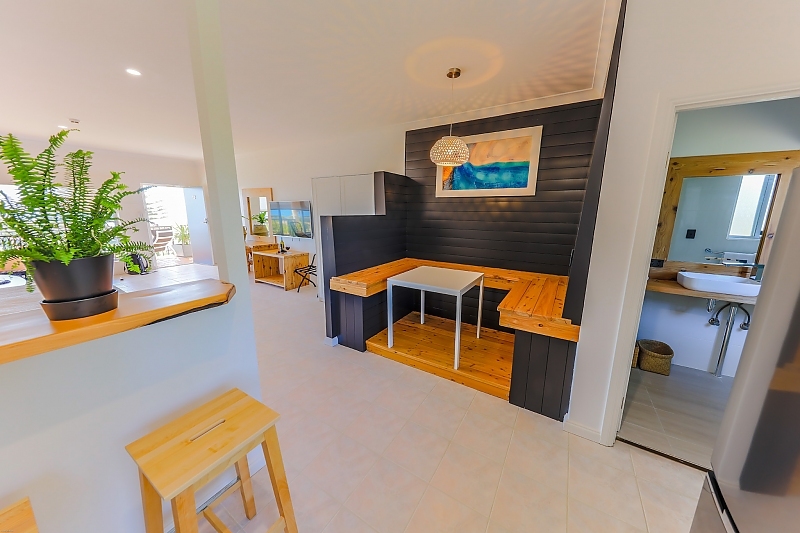 A large cypress pine desk with lamp and chair is fitted perfectly for working from the apartment. 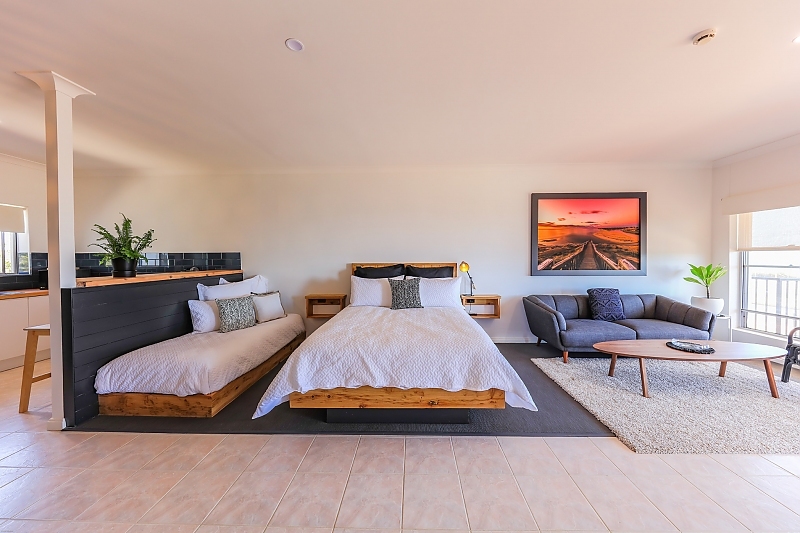 Sleep quality will be at it's best with the quality Eutopia pillow top mattress and fluffy microfibre pillows. 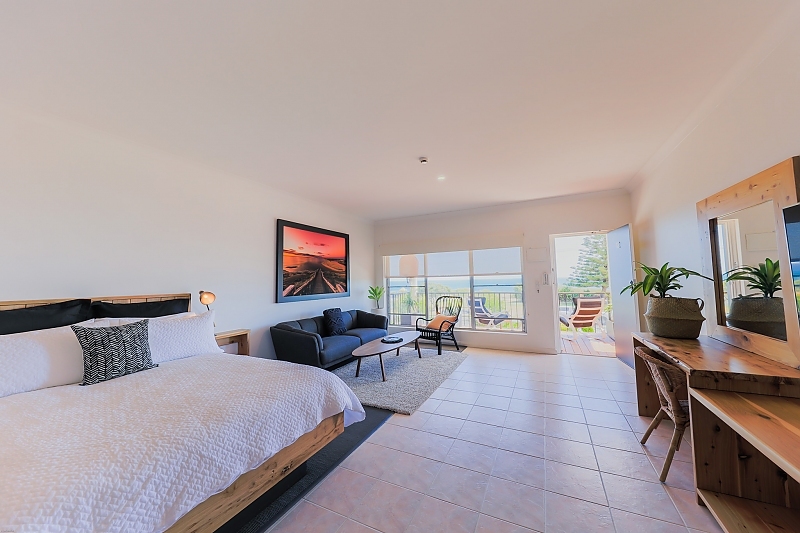 This apartment is on the first floor with balcony and sitting area directly in front of the apartment looking out at the ocean. 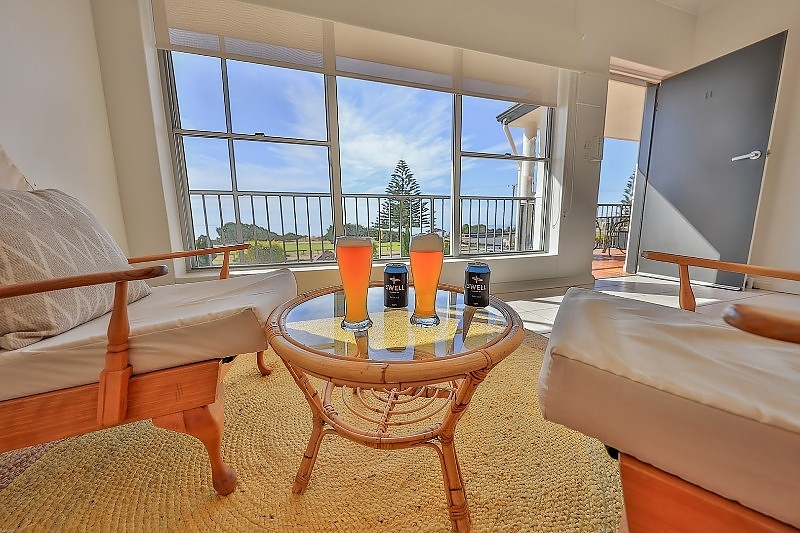 Perfect for watching the nightly sunsets directly in front of the apartment that we are famous for.